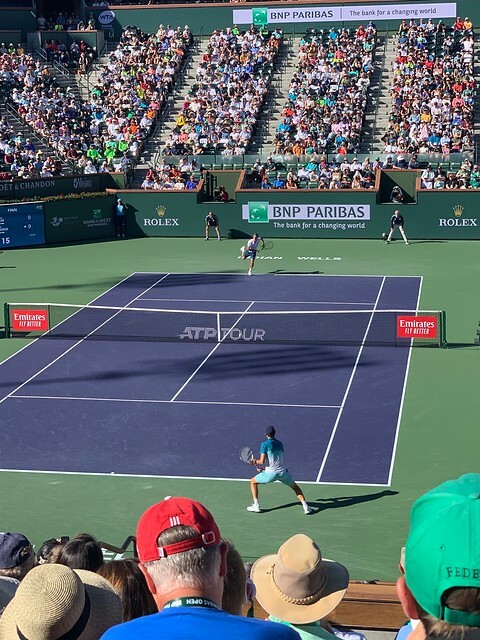 Indian Wells Final looks 1/3 empty. Look at the top half of the bottom deck. Vacant. There are tons of empty seats everywhere. The first level is 1/3 empty. I think that the women's final was full, and LOUD fans. That place is full of vacationing Canadians right now. Maybe ticket prices are insane? Fans were flocking to see Saroosh playing 2.5 tennis in the parking lot of Denny's a few miles away. As someone said. Get glasses. The Kerber/Sabalenka match was 80% empty. I was there a few years ago for the finals it was sold out. I don't think this year is any different. That tournament breaks attendance records every year. They were busy watching @dgold44 vs @sureshs on court 2. Fake news. I was there. It wasn't 1/3 empty. More like 1/3 of the people left as soon as Thiem won. Everyone always leaves after the 1st evening match(it was the 2nd evening match), particularly for a women's match. Old people need to get their sleep. We are Sabalenka fans, left when she was down 6-1 after the first set, also very cold at night, needed a blanket. Awesome picture. What are your thoughts on Thiem now? I only left in the 3rd when it appeared Sabalenka had it in the big and I was sad I did. Could have gotten Kerber's auto for sure. I was there. There were some empties in the upper deck but the stadium was 95% full. I've never seen a crowd depart their seats and stadium as fast as that crowd did. Tickets to the Finals are typically for men's and women's in the same afternoon. Two 3 set matches can be 5-6 hours in the afternoon sun of the desert. So it's no surprise some people bailed quickly. 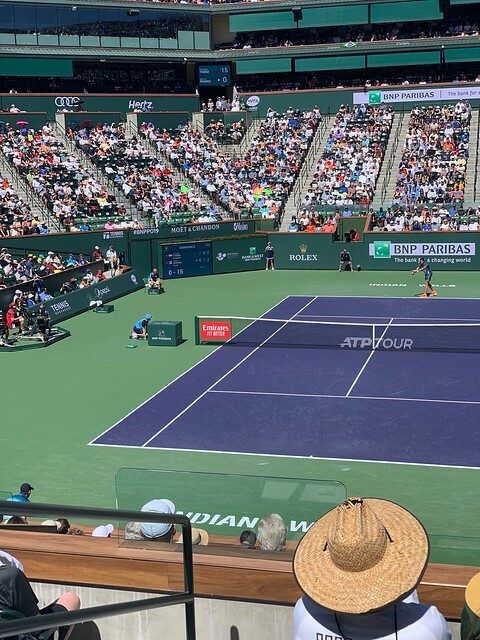 I've sat in the sun at the men's and woman's finals at IW and had to leave the action several times during play to get some shade and relief. Your are seeing something that's not there. That gap at the top of the bottom deck is not empty seats. It's a 7+ foot vertical wall up to the next level. I was there, very full. So Jesus cured your syphilis? So that's how Nada is training for hard courts. By playing you on the parking lot ??? Is that the strategy for beating Nole ?